Placing the onus solely on parents to fix a generation hooked on screens is unfair, unrealistic, and unnecessary in an era where the biggest technological threat to our children are the guns in their schools, not the tablets. Another week, another batch of caution articles for parents. Last week, the esteemed Mother Jones ran an (admittedly insightful) article on discipline with a yet another fear-mongering headline. 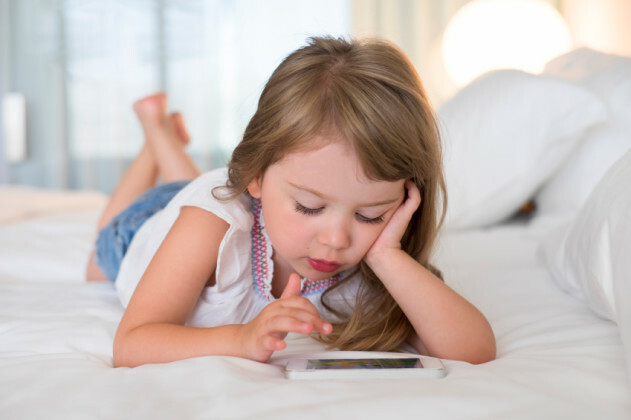 This week, over at The New York Times, Jane E. Brody published the second installment of her two-part series on screen time addiction, aiming her wagging finger squarely at parents. As soon as I see the first word of such claims—parents—I feel my body grow heavy. At brunch last Saturday, my husband streamed Sesame Street on his smartphone for our 18-month-old so the adults could spend five minutes discussing the anthology on fatherhood we’re editing together. We were seated at an outdoor table with no other patrons, and while Elmo talked about caring for his pet goldfish, our daughter Benna actually ingested several bites of broccoli. It was the kind of rare, lovely outing that made me optimistic about my life as a working, still-hoping-to-be-creative parent. But one sentence into Brody’s series, I sink once again into the quicksand of shame. It’s not only exhausting trying to climb out—to have even a smidge of confidence in my ability to raise a decent and loving human being—it’s dispiriting. After reading articles like Brody’s, I don’t feel motivated to be a better parent; I feel like grabbing the iPad and putting Elmo on duty for a while. This is one reason why I find Brody’s series grating. Chiding parents and caregivers is just lazy, unsympathetic ethos (and let’s face it, if they’re reading such articles, Brody’s intended audiences are probably already critical of their children’s media use). But I also believe such articles distract us from the conversations we need to be having about childcare, safety, and our screen-saturated culture. Placing the onus solely on parents to fix a generation hooked on screens is unfair, unrealistic, and unnecessary in an era where the biggest technological threat to our children are the guns in their schools, not the tablets. Paraphrasing the AAP’s recommendation, Brody says, “Before age 2, children should not be exposed to any electronic media,” a proscription I find highly problematic. I can’t take my toddler out of the house for “real world” activities without exposing her to screens. There are screens on the trains we take to the aquarium, screens at the restaurants where we have family conversations, screens at the playground where she burns off excess energy and builds muscle strength. There is no way to steer her sensory-driven curiosity away from devices that light up and make interesting sounds. To stack the odds so impossibly seems, frankly, irresponsible of the AAP. As a college professor who, by a combination of experience, persistence, and luck (mostly luck), landed a tenure-track appointment in the humanities, I’m implicitly expected to answer emails from students and colleagues at all hours of the day, seven days a week. With a one-and-a-half-year-old running around, it’s nearly impossible for me to conduct all of my academic business in private, and I have used the temporary distraction of the playground as a chance to catch up on important emails, make phone calls, and otherwise maintain the professional life that provides my family’s income. The 40-hour workweek is gone, and Americans fortunate enough to have gainful employment often work around the clock, squeezing out another email or conference call at any opportunity. Similar expectations also govern our social lives, which are increasingly conducted online. The same job that keeps me tethered to my technology also required that I move my family to Boston, five hours away from my mother in upstate New York, and 20 hours away from my husband’s parents in Alabama. This is the second cross-country move we’ve made in as many years for work. In order for Benna’s extended family to participate in her life, we need screens. Her grandparents view photos of her on Facebook or over email. On weekends, we Skype. My husband and I also keep up with friends in increasingly far-flung cities using digital media—the demands of our working and parenting lives make traditional letter-writing and lengthy phone calls too difficult. In order to receive the emotional support we need to productively live, we need the community that digital media can help us maintain. Another issue with Brody’s series is that it lacks nuance, lumping all forms of screen time together under the same red flag. There are, however, significant differences between programs like Sesame Street and video games like Call of Duty. The quality of what’s on the screen should matter in this discussion, as well as what kind of caretaker interaction a program or app invites. Many apps encourage interaction, or, at least, aren’t simply passive entertainment for children. Brody dismisses passive entertainment by screens as “babysitters”: “Television, long a popular ‘babysitter,’ remains the dominant medium, but computers, tablets, and cellphones are gradually taking over,” she says. She may be right that parents sometimes use devices to occupy their children, but she ignores the dire situations most parents are in with regards to childcare. Without access to subsidized childcare, or willing, nearby relatives, parents are left with few choices in order to work from home, clean, prepare meals, or drink a hot cup of coffee. It’s this sort of 100% child-centered existence that fuels pro-life campaigns and discrimination against pregnant women, and continually chips away at the societal supports we should be building, not stripping, for parents. When I look out into a classroom of freshmen all staring at their crotches (the ubiquitous place for “discreet” phone use), I agree with Brody that we need to teach children, both explicitly and through modeling, the value of moderation when it comes to screen time, and to consider instituting rules regarding technology. But I cannot give Benna the childhood I had in 1982. We cannot go back. We can only go forward. We all made this new world together. Now we all have to figure out how to live in it.